A traditional Indonesian food, tempeh is mainly used as a meat-substitute. It’s dense and chewy with a savory, earthy, nutty sort of flavor. It’s a great source of plant-based protein, with a 3-oz serving containing roughly 16 grams. That same serving also provides you with about 9% of the RDA of calcium, 13% of iron, 17% of magnesium, and a whopping 55% of manganese. It also contains 9 g of fiber. 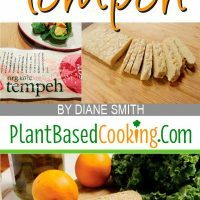 Cooking with tempeh should be on your list of to do's if you have yet to learn this skill. Tempeh is made from partially-cooked soybeans, formed into a cake, and fermented for about 24-48 hours at around 90°. During the fermentation process, mycelia (a white, mushroom-like fungus) grows on the cake, binding it together. Fermentation makes the nutrients it contains, such as iron, calcium, and zinc, more bio-available. Additionally, fermented foods contain probiotics, which we all know are instrumental in maintaining optimal digestive and immune system health. 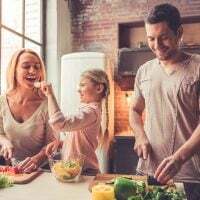 Aside from the previously mentioned benefits, one of the biggest pros of eating tempeh is that you can reap the health benefits of soy without the downsides of more highly-processed soy products. Non-organic soy processing can involve hexane, a chemical solvent used to extract oil from soy. 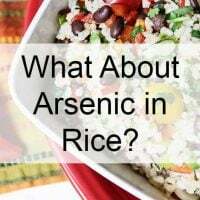 Of course, if you buy organic, you can avoid this solvent, as well as other genetically-modified ingredients that are common in non-organic soy products. You may have heard that there are other potential health concerns that go with eating soy. 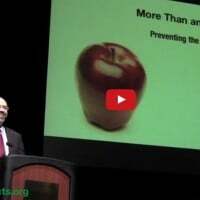 If you’re concerned about the safety of soy, read my article on that topic here. Many experts tout the virtues of whole-food forms of soy. 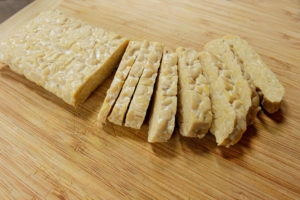 A 2015 study by Robert Sorge, PhD, assistant professor in the department of psychology at the University of Alabama at Birmingham, found that tempeh contains “a decent amount of genistein.” Genistein is an isoflavone known to have anti-inflammatory and even anti-tumoral effects when consumed in moderate amounts. Additionally, a scientific review published in The American Journal of Clinical Nutrition found that soy contains other isoflavones that have shown to significantly decrease serum total cholesterol and LDL cholesterol levels. Now that we’ve covered the basics of tempeh and why you might want to include it as part of your plant-based diet, let’s talk about how to cook with it. Some people like to steam their tempeh before adding it to food or with other ingredients, to soften it a bit. Some say it removes any bitterness you might taste. Simply slice the tempeh, place it in a saucepan, and steam over water or vegetable broth for about 10 minutes. From there, you can prepare it in many different ways, which we will go over later in this article. Although many enjoy tempeh as it is, with a nutty, earthy flavor, others like to marinate it, depending on the recipe. Cut the tempeh into quarter-inch slices and leave it in the marinade for 10-20 minutes before preparing it. You can use any number of sauces as your marinade. Some bases that I suggest are vinegar (any kind), soy or tamari sauce, citrus juice, Bragg’s aminos, and/or any kind of milk-alternative. If you want a sweet sauce, you can add maple syrup, or coconut aminos. Experiment with spices like ginger, cayenne, garlic powder, or onion powder, to name a few. If you want a thicker sauce, mix in a nut butter of your choice. The possibilities here are truly endless. One of the simplest ways to use tempeh is to crumble it. For this method, you can use it straight from the package or you can steam it first. Simply crumble it into small pieces and use in a variety of ways. 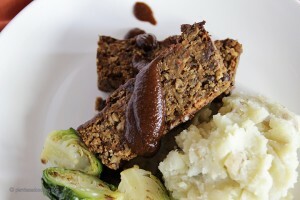 Here's an especially yummy BBQ Meatloaf made with black beans and tempeh. Or, try this Tempeh Salad Sandwich. use meat. Tempeh takes on the flavor of whatever it’s cooked in, so it’s easily added to things like chili and stew, in addition to soup and sauce. After steaming and/or marinating, a couple of great ways to prepare tempeh is by grilling or frying it. To grill it, you can simply slice it thick and place it on the grill, turning occasionally, until the edges get crisp. This technique will bring out the natural nutty flavor of the tempeh, so marinating isn’t even a necessity. Of course, you can add any kind of seasoning or spices as you grill. To pan-fry, you can use both slices or cubes. Cut it as thick or as thin as you prefer – the thinner you make it, the crispier it will be, with less chewiness in the middle. Again, you can pre-marinate, or you can cook it in any kind of seasonings or sauce you prefer. A little water or veggie broth yields good results as well. If you’re in the mood for something savory, give my Tempeh in Hearty Mushroom-Lager Sauce a try! Hopefully, I’ve peaked your interest in giving Tempeh a try. 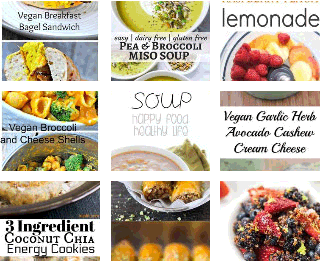 Browse through my recipes to see how I’ve prepared it in the past, and let me know in the comments if you have a favorite way of preparing it! Thanks for reading! 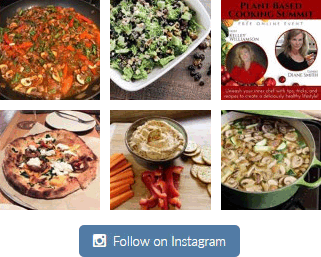 I'd love to hear your experience cooking with tempeh and if I missed any suggestions please leave a comment below. I haven’t been able to find Tempeh in my local grocery stores. Any suggestions? I’m not sure where you live. 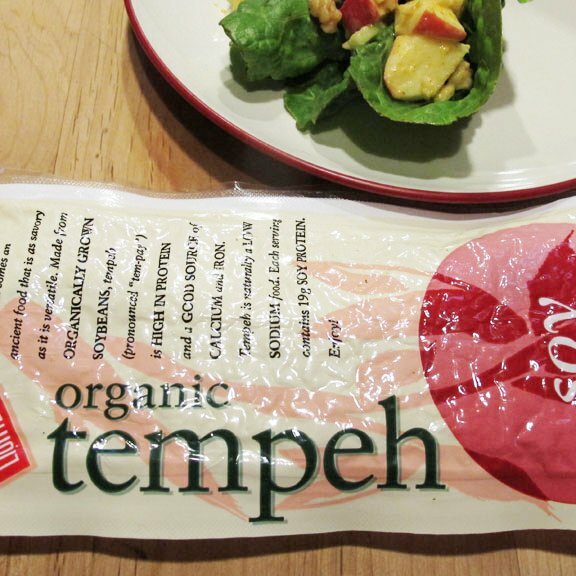 Are you’re open to purchasing online, you can find tempeh at Prime Fresh through Amazon. If not, you might request that your local store carry it. 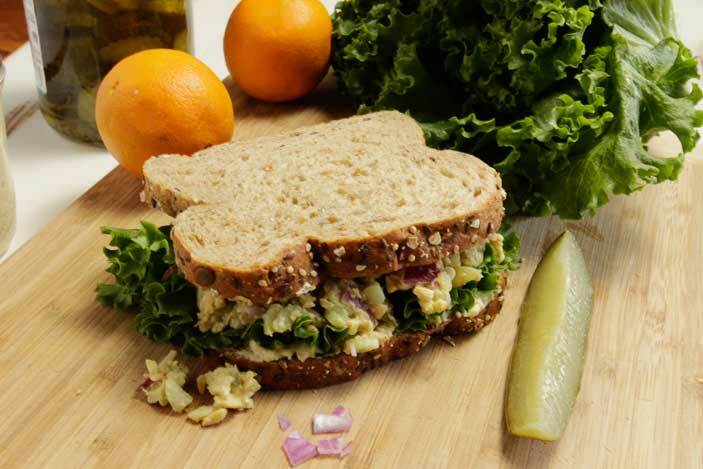 For many recipes, tofu would be a good substitute such as in the Tempeh Salad Sandwich recipe. Or, if you want more protein, try seitan which can be made into meat substitutions like sausages or meatloaf. Beans offer protein, as well. Or, next time you travel, you could pick up several packages of tempeh and freeze some for later. It should do well in the freezer.